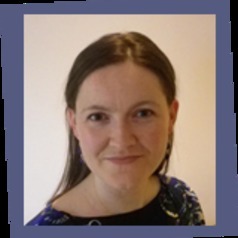 Aoife is Senior Lecturer at the School of Law of the University of Liverpool, specialising in children’s rights, civil and political rights, and family law. She is originally from Cork in Ireland. She has worked and researched widely on international human rights law and issues of social justice, recently producing reports for the Council of Europe and the UK Equality and Human Rights Commission. She has a background in both law and psychology. Aoife has held a number of positions both academic and in the NGO sector, for example with Save the Children and as Vice Chair of the Executive Committee of Amnesty Ireland. Aoife has published in a number of journals and in 2018 published a book entitled Children, Autonomy and the Courts: Beyond the Right to be Heard with Brill/Nijhoff. The work compares the distinct prioritisation of personal autonomy in areas such as medical law to the enormous paternalism in other decisions about children (such as where children will live on divorce). It is argued that courts should support and prioritise children’s own wishes to the extent possible – there should be a high threshold to override them. Aoife is also Deputy Director of the European Children’s Rights Unit at the University of Liverpool, a unit in which participatory research is conducted with children on issues of children’s rights in Europe and beyond. She is currently working on projects concerning gender rights, the rights of children with disabilities, kinship care, and cross-national comparisons of child protection policies in the UK and Sweden. She has a four year old son who frequently exercises autonomy rights.